The Home page now includes the latest information and announcements from Esri! Power users can search Living Atlas content directly from this page. New users can learn more about using the different item types in the Living Atlas, including adding Living Atlas content to your projects and making it your own. 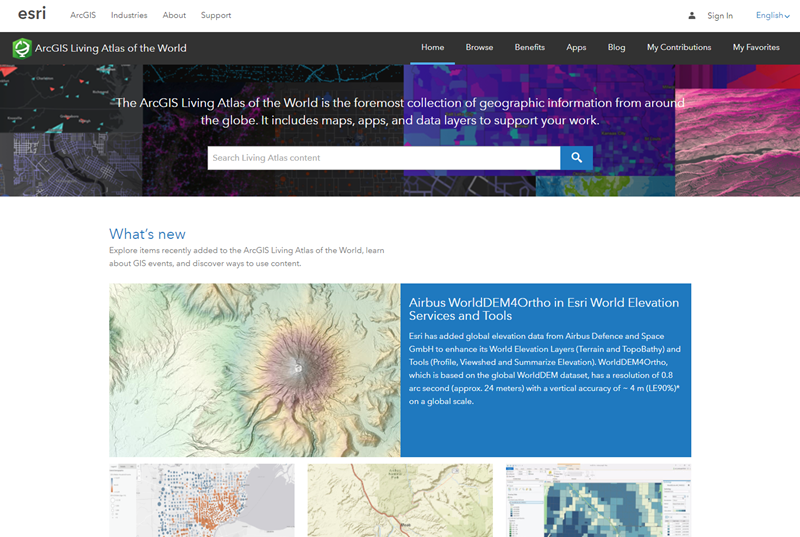 You can meet a few of our contributors and get your questions answered, whether it be through GeoNet or the Q & A.
Apps are a powerful part of the ArcGIS Living Atlas of the World. They provide a way for users to combine content from the Living Atlas for visualization and analysis. They can help tell a story or solve a problem. 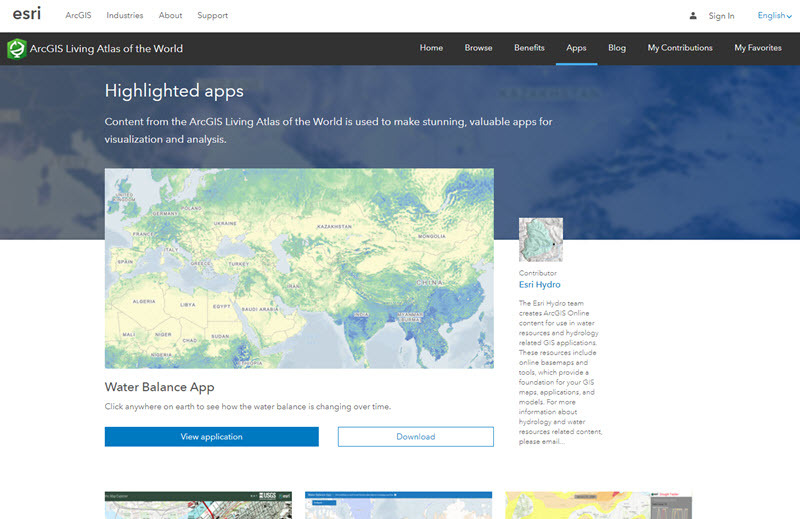 The new Apps page features apps that use Living Atlas content to display historical, imagery, landscape, weather, and climate information. View the app, get the code, and learn about the contributor all from this new resource! 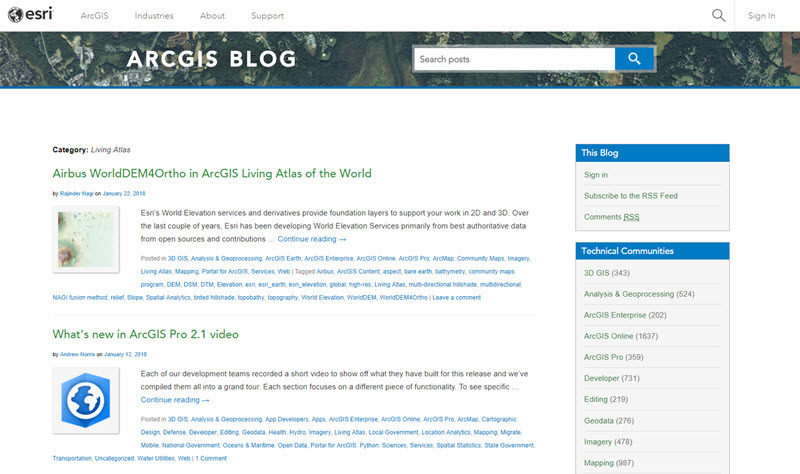 The Blog page takes users to the ArcGIS Blog website filtered by the Living Atlas category. 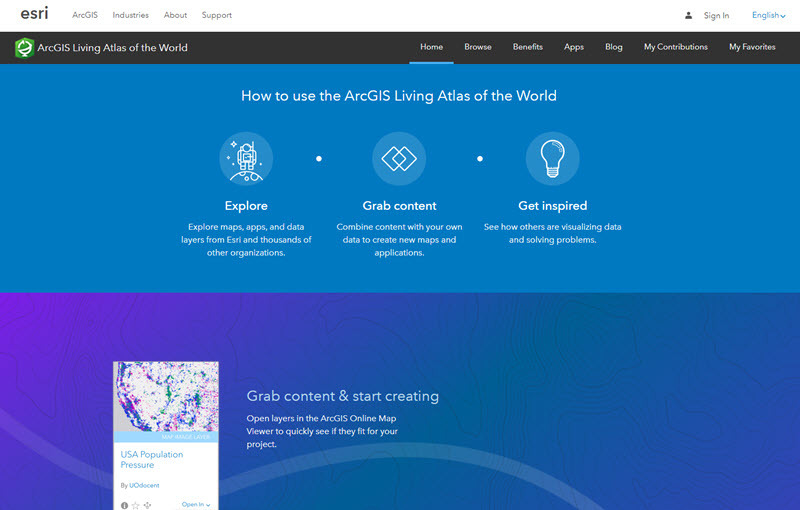 This is a great place to learn about upcoming releases, improvements, and enhancements to the Living Atlas written by members of the Living Atlas team and others at Esri. This is also where you can find tips and tricks, how-to articles, and information on events such as webinars. Learn how you can improve your work from the experts at Esri! For the latest Living Atlas updates follow us on Twitter and join the group on GeoNet.